I love music. In fact the powerful surges of pleasurable energy that I used to experience in my body when listening to music as a teenager was one of the things that made me curious to learn meditation. These experiences of rapture (the Buddhist technical term is “priti”) opened my eyes to the fact that there were ranges of experience outside of our normal expectations. The idea that you should listen to music while meditating is very common. But this probably goes back to seeing meditation as little more than a means of relaxation. Traditionally, the idea of listening to music while meditating would be completely out of the question. In no Buddhist lineage that I know of is there any kind of musical accompaniment to sitting meditation. This is a very modern notion, and probably comes from the fact that many alternative health practitioners play relaxing music in the background while performing their healing arts. This music became known as “meditation music” and the assumption grew up that we should listen to music while meditating. Traditionally there would simply be silence or ambient background noise to accompany meditation. So-called meditation music is meant to be relaxing, and of course meditation does help you to relax too, but it goes beyond that and helps us to be more alert and focused. It also helps us to reflect deeply. Music is likely to get in the way of those activities. If you’re trying to pay attention one-pointedly to your breathing, then you can’t also listen to music. And if you’re trying to listen to music then you can’t fully concentrate on your breathing. Also, music produces pleasant feelings, which is why we listen to it and why music is now almost ubiquitous, being thrust at us in stores, elevators, and even on the streets. If those pleasant feelings are being supplied by “meditation music” then we won’t reach deeper into ourselves to find our own sources of happiness. So-called meditation music therefore is a kind of crutch that hinders our practice rather than helping it. However, focusing on music is fine, and I wholeheartedly suggest that you try doing that, but I also suggest that you try doing it at a time when you’re not meditating. 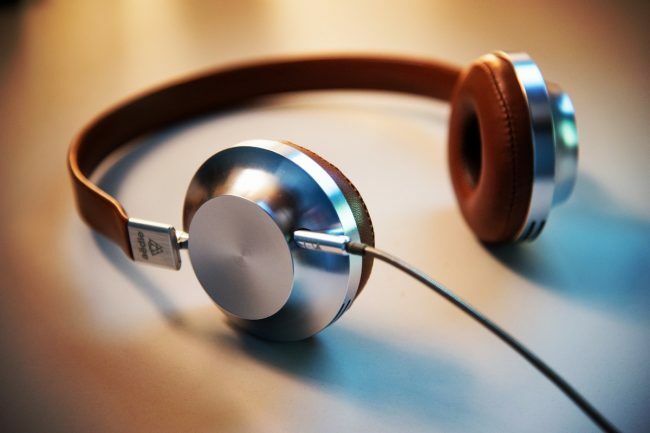 Listening to music as a meditation practice can be a very powerful practice. As I became more familiar with the experience of the dhyanas (Pali, jhanas), which are very concentrated, calm, and blissful states of meditation, I realized that I’d been experiencing these states for years while listening to western classical music. And I’ve found that I can experience all of the dhyanas while treating music as a meditation object. If you’re going to listen to music as meditation then you have to take it seriously as a practice. Try not to do anything else at the same time. Don’t work, or read, or balance your checkbook while you’re listening. Switch off your phone. Darken the room. Just listen to the music. Make sure you’re in a comfortable position that supports alert attention. Sit or lie down comfortably, and just pay attention to the music. You’ll probably find that you enjoy it like never before. One auditory accompaniment to meditation that I do think is reasonable is recordings of natural sounds, such as water, birdsong, etc. In the Buddha’s day the vast majority of meditation would have taken place outdoors. Even when meditation took place indoors, the buildings would have lacked glass windows and silence would have been extremely rare. So you could argue that meditating in the presence of natural sounds (or recordings thereof) is closer to the original practice of meditation. On the other hand, just because silence was rare in the Buddha’s day doesn’t mean that people then wouldn’t have found silence useful as a background for their practice. Additionally, though, many of us live in very urban environments where hearing natural sounds is rare. I believe that contact with the sounds of nature fulfills a deep need for a sense of connectedness to the natural world, and that recordings of those sounds can help fill that need. Also, natural sounds are more random and less “catchy” than music, and the mind is less likely to become attached to and distracted by them. So at worst I’d say that natural recordings do no harm, while at best they may help us to fill a need for the experience of natural sound. Music on the other hand is likely to be a distraction, or to artificially produce pleasant feelings, thus preventing us from finding those pleasant feelings from within. but what do i do if my family start arguing or something and i can hear them? In that kind of situation I think the best response is to cultivate lovingkindness for the people who are arguing, and for yourself too, if you are suffering hearing them fight. I am Deaf and meditating with music works best for me. I just lay down on a chaise longue that I have in one of my room and put the iPod in my ear and play the music. No one is around and I go into deep relaxation during this. Would this be considered meditating? Just curious. I think there’s certainly something meditative about attentively listening to music, but generally listening to music for relaxation isn’t, I think, the same as meditation. Because listening to music is dependent on something outside of ourselves, it doesn’t go as deep as meditation, where if you’re going to relax you’re going to have to do that yourself, and not rely on something to do it for you. Music can take me into wonderful states of mind, but the question is, can I do that for myself? I didn’t believe in meditating with music until I had children. Now It’s either music, nature sounds, or white noise unless the house is empty or I happen to be sitting in the wee hours of the morning. There is a exact word or genre for a term meditation music.I think its a hindi word but unfortunately i forgot that word …If you know please post it. I don’t think I’ve ever heard of that word. I doubt it would be a Buddhist word, since in Indian Buddhism anyway music wasn’t seen as being something that you’d have going on while you meditated. In fact monks weren’t allowed to attend musical concerts. CMIIW …I think I got that word, its “Mantra”. OK! Well, mantras are words rather than music, although they are sometimes chanted to a tune. They’re not “meditation music” in the sense of something that you have on in the background while you meditate, but they’re objects of meditation in their own right. We have a whole section on mantra meditation. Thanks for the tips. I was not sure whether I should use meditation music with mantra meditation but have decided to do them separately based on your advice. I’m having lots of stress lately regarding many things, most of which do not deserve to be stressed about, so much that it reached a level where if i’m not stressing, i unwillingly alert myself and remember to go back to being stressed. I’ve been told meditation is one way to get rid of that “habit”, i’ve also been told to just live with it. I need to know how meditation works, and what does it do? does it confront those things that are stressing me out? because some of those are things that i do not want to confront and better left suppressed or just not thought about, since confronting them and “accepting” them would do more harm than good. or is meditation something that takes your mind off of everything that is stressing you? to me its a huge difference between the two, and if it’s not the latter, then i will most probably not going to attempt meditation. Sorry about the delay in my replying to you. Life’s been rather full. Your question boils down to whether or not meditation is about investigating the content of your stress. Actually it’s not. Some kinds of therapy might do that, but meditation is more about how you relate to the things that are stressing you. Actually, stress is already a measure of the way you’re already relating to those things. Right now you seem to want to deal with difficult experiences by not dealing with them, hoping they’ll go away, or by worrying about them. That doesn’t really work very well, since they’re not likely to go away. It’s obviously not working as a strategy. In the short term, meditation does tend to take your mind off of things that are bothering you. We practice letting go of thoughts as they arise, and simply coming back to our sensory experience. What happens when we do this is that the mind calms down and we feel happier. Sometimes we find that something that bothered us simply doesn’t bother us any more. We no longer fear it or are anxious about it. Or sometimes the anxiety may just be reduced to the point where it’s more manageable. In fact the whole structure of your brain changes, and the part of your brain that deals with “flight or flight” panic gets smaller, while the parts of our brain that are to do with emotional regulation and integration get larger. We also directly cultivate positive emotion, which helps in many ways. We become happier, and we’re less likely to get into self-hatred. At times we do have to face things. When fear arises over and over, we’re telling ourselves on some level that there’s something we need to look at. That doesn’t usually mean poking over past events, but instead becoming more aware of the fear that surrounds our memories. We can then look at our memories more objectively, and more compassionately. I’m not sure what you mean, exactly, by saying that accepting things would do more harm than good. But just to take an example, if someone had done something they were very ashamed of in the past, accepting this doesn’t mean saying “it doesn’t matter” — it means accepting full responsibility for what has been done, and realizing how the action came about as a set of poor choices and unhelpful habits so that we can move on. We can have genuine compassion for ourselves, and forgive ourselves, and rather than enabling further actions of the sort we’re ashamed of, it makes them less likely to recur. And we can have compassion towards those we hurt, rather than feel so much shame and fear. That’s just an example of how things can work. You may also want to explore therapy. Whatever’s going on with you, it’s a source of great pain, and at present you don’t seem to have sufficient skills to help you move beyond your pain. A good therapist can help you develop those skills. Some therapies, like Cognitive Behavioral Therapy, are very compatible with meditation, and can even involve meditation techniques. I wish you well. May you be free from suffering. i find soudscapes and dub techno very suited for meditation, maybe because it is not catchy and you don’t have to “listen to it” but rather sets up a mood. Thanks a lot for the explanation, I was under the impression that listening to light instrumental music while meditating will always be better to concentrate. What should I do to meditate ? This entire site is about “what you should do to meditate.” I’d suggest going to the “meditation guides” section of the site and starting with the mindfulness of breathing. Hi i do listen to music while meditating and see different colors while doing it. i have been doing this for six years and now when i listen to music on a cloudy day it starts to rain. And i have experinced lot of coincidence with numbers, incidents, people and etc. So i want to know whether it is normal to experience these things. I don’t think it’s normal to experience these things, and I’d suggest either that you stop meditating with music, or even stop meditating altogether. It might also be a good idea to talk to a doctor. Often these beliefs that we are experiencing events outside ourselves, or that the universe is providing us with coincidences can be a sign that the mind isn’t working in a healthy way. Thank you for a great article, what you say about separating the enjoyment of music and practice of meditation makes a lot of sense and answers the questions I had perfectly. Your answers to mrinal and hani are considered and wise. I am quite new to buddhist meditation but I look forward to exploring your site in more depth. Thanks for making it available. Dear Mrinal, Thanks for sharing your experience as some of us may be facing the same question. I think this is an great place to learn from each other experience. We all are experiencing our own karma and facing different obstacles in the practice. As Bodhipaksa said, it is wise to get advice from a doctor…, but I think what he means is more a spiritual friend than a psychiatrist. But don’t stop meditating. Buddha is the greatest of all doctors and the buddha-state lies within you. Keep practicing and your doubts will vanish by themselves. You may also find a renewed inspiration in reading (or rereading) the heart sutra (https://www.hsuyun.org/chan/en/sutras/sutrasinenglish/heart-sutra-eng.html) and studying the dharma. This is the medicine. Wish you lots of joy in exploring the path. I want to know what you think about the use of “Brain Entrainment” sounds, its not really music and is supposed to help get your brain into the proper frequincy for meditating. Just curious what you think about it. If some external sound is indeed able to passively induce particular brainwaves, then that’s not in itself meditation. Meditating is something you do. It’s an activity. To give a comparison, there may be particular brainwaves associated with running a marathon. If you could induce the same brainwaves by some other method, would you be fitter? it’s possible that there would be some effect, but being passively affected by sounds is not going to have the same effects as physical exercise. Nor is it going to have the same effects as meditation. Listening actively to music can be a form of meditation, but in that case it’s meditation because you’re performing the same kind of attentive awareness that you cultivate while meditating. Hello, i am Deaf also, as like Malia. But i am really deeply deaf and feelings only. But I have “Implanted Cochlear” But i put the line in Opus 2 as “Headphone line” for USB in laptop, but it worked. And i feel hearing the music from my laptop into my brain, but i still don’t understand everything of English yet. But i only needed “Lyric” to READ and LISTEN in same time ,i will learn it as well, because my first language is Portuguese so i am from Brazil. That’s why i had to learn portuguese voices and sounds with my speech worker, and doing stuffs to hear and speak of my own voice. So you know, i can understand if i read lyric. Because it’s very useful for deafs to read. But it’s great to read this whole texts because it is helpful for every lifes which they wish for peace and relax ,and plus happiness in aloneness place. Other forms of Buddhist practices do not work now, this is the ONLY correct Buddhism that Shakamuni Buddha passed down. If trying to obtain the “Buddhist goal” then listening to music at ANY time is almost out of the question. From the suttas this is “clinging to the ear” as a source of pleasure, and we should try to abandon pleasure. On the other hand, most people are meditating to learn to just relax and let go, and I see no problem with listening to music. It’s true that monks were forbidden from attending musical performances, but I think this was to do partly with reasons of decorum — monks should now be seen mingling as equals with laypeople at entertainment venues — and also for reasons of restraint of the senses; monks should not be “party animals.” I’m not a monk, but “rocking out” is not what I’m talking about when I discuss listening to music as a form of meditation. Again, it’s the craving for or clinging to pleasure that’s the problem, rather than the pleasure itself. In fact, in reaching fourth jhana while listening to music, there is no longer any sense of pleasure, but rather a cool sense of peace accompanied by a non-dual sense of unity with the music. There’s a lot of pleasure and joy on the way to fourth jhana — as I said before we cultivate pleasure in the jhanas — but eventually we move beyond pleasure. These things are rather hard to describe. If you’ve experienced fourth jhana in meditation I’m sure you’ll know what I’m getting at, though. You are absolutely right, when I said “we should try to abandon pleasure” I meant the pleasure of the five (or six) senses. Although that isn’t speaking of music, it is quite clear that the general Buddhist attitudes towards any pleasure of the flesh is that it should be avoided. Well I don’t see any reason that Thanissaro Bhikkhu should be the authority on this matter. Furthermore, I agree that we do not need to meditate somewhere where it is unpleasant, but letting the mental state of boredom arise is something that should probably be abandoned by any serious practitioner (meaning the concept of a “very boring place” doesn’t exist to an experienced monk). Secondly, Thanissaro said: If you see any sensual passion coming up, you sidestep it. You put it aside. So what would be the point of meditating with music if all you would be doing is sidestepping it? Well I notice when people phrase statements like this what they are really saying is that it is TOO much craving or clinging for pleasure that is bad. In other words, “I can experience pleasure but not cling to it.” I really don’t believe this that much though; because if you put the CD on (or whatever) then you by definition have at least a subtle craving, and there is clinging even though it might not quite have the connotation that “clinging” normally does. But that (abandoning the pleasure of the five or six senses) also is not a requirement for Enlightenment. It’s not even possible, as long as we have human bodies. It’s attachment to and craving for pleasure (or any sort) that we’ve to relinquish. Which makes my point for me: it’s attachment and sensual desire (desire equalling craving) that we’ve to avoid. You can’t point to passages saying that we shouldn’t be attached to pleasure and use them as a basis for arguing that pleasure should be avoided. But that’s impossible. Some food tastes pleasant. The warmth of the sun when we’re chilly is pleasant (which is presumably why the Buddha is depicted as sunning himself). Pleasure (and pain) cannot be avoided. As he is not delighting in sensual pleasure, no passion-obsession with regard to that feeling of pleasure obsesses him. He discerns, as it actually is present, the origination, passing away, allure, drawback, and escape from that feeling. As he discerns the origination, passing away, allure, drawback, and escape from that feeling, no ignorance-obsession with regard to that feeling of neither-pleasure-nor-pain obsesses him. Thanissaro said: If you see any sensual passion coming up, you sidestep it. You put it aside. I think you’re failing to make the distinction between craving for pleaure (sensual passion) and pleasure. Sensual passion (craving, clinging) is to be sidestepped or abandoned. Pleasure is not. The pleasure that I find arising from meditatively listening to music has nothing to do with craving or clinging. In fact the pleasure that I find arising from meditatively listening to music would be destroyed by craving or clinging any kind of enjoyment, just as in meditation, pīti/sukha are destroyed by craving. It’s “letting go” or non-clinging that leads to the arising of pīti/sukha in both formal meditation and in taking music as an object of meditation. Well, that’s not what I’m saying. My experience is that any kind of craving for or clinging to pleasure is counterproductive (I wouldn’t use your word “bad” in this context). if you put the CD on (or whatever) then you by definition have at least a subtle craving, and there is clinging even though it might not quite have the connotation that “clinging” normally does. You might as well say that if you sit down to eat, or if you sit on the cushion to meditate, “then you by definition have at least a subtle craving.” If you want to do anything there’s some sort of desire present, but not all desire is clinging or craving, otherwise the only escape from clinging would be to refrain from acting altogether. Although this was the aim of certain practitioners at the Buddha’s time, this is not the Buddhist path. But let’s say that sitting down to meditate (whether on the breath or on Bach’s “Goldberg Variations”) involves some gross craving. Well, that just how it is. The whole point of meditation is to help us let go of craving, so if you sit down with craving in your mind that’s just something you’ll have to work through. And as you do that — as you let go both physically and emotionally — a great deal of pleasure and joy will arise. This is the pleasure and joy of non-attachment. It’s mindful and non-attached listening to music that leads to jh&amacr;na. I said “we should try to abandon pleasure.” Not “to become enlightened all pleasure must be abandoned.” In one sense it is impossible to abandon all pleasure if we have human bodies; however, the perception of normally pleasing things can be changed so that they aren’t seen as pleasing. This is why there are practices like contemplating the repulsiveness of food. ” Which makes my point for me: it’s attachment and sensual desire (desire equalling craving) that we’ve to avoid. If we are going to “[discern] the origination, passing away, allure, drawback, and escape from that feeling” then what is the point of listening to pleasant music while meditating? So that we can attempt to escape from it? Furthermore, nowhere in this sutta is it said that it is alright for a contemplative to pursue any sensual pleasure. I agree, but if this is supposed to be done, then why would you want to listen to music anyways? The only reason you could ‘want’ to is if you had a desire to. And a desire for a sensual pleasure is to be avoided. The fourth fetter is “sensual desires” and the only reason you would seek to listen to music is because of a desire! If sensual pleasures are “stressful,” the fourth fetter is sensual desires, sensual desires should be sidestepped, and the holy life is lived for the purpose of the destruction of desire – then why listen to music? “And how is desire outwardly scattered? Whatever desire is stirred up by the five strings of sensuality, outwardly dispersed & dissipated, that is called outwardly scattered desire. “There is the case where a monk develops the base of power endowed with concentration founded on desire & the fabrications of exertion, thinking, ‘This desire of mine will be neither overly sluggish nor overly active, neither inwardly restricted nor outwardly scattered.’ ” aren’t bad. There is a difference between the avoidance of pain and the pursuit of pleasure. Disclaimer: I don’t claim to be a master at any of the themes of which I am speaking, this has just been my general perception of the Dhamma. Crikey, but this is getting a bit out of hand in terms of length and the time required to reply. The point here is to deliberately evoke pleasure. There’s nothing wrong with pleasure. I’ve already dealt with “The only reason you could ‘want’ to is if you had a desire to. And a desire for a sensual pleasure is to be avoided.” I’d suggest going back and reading that part of my response again. Not all desire is craving. Otherwise any desire to become enlightened would be an expression of craving and enlightenment would be impossible. “Listening to music while meditating” is potentially misleading of course, since it might suggest having music on in the background while meditating, while what I’m talking about is experiments with taking the sound of music — but not “The Sound of Music” :) — as an object of meditation. But, “what is the point of listening to pleasant music while meditating? So that we can attempt to escape from it?” I’m not sure what the “it” stands for here. I presume you mean the pleasure experienced while listening to music. But the answer is a qualified yes. There’s no attempt to escape from the pleasure, but pleasure is something we need to learn to work with skillfully in order to develop equanimity toward it. In my few experiments with meditating on music I’ve found that it’s possible to experience pīti/sukha, and then to progress through the jhanas to the point where pīti and sukha vanish, leaving a non-dual state of one-pointed, equanimous peace. This is, in fact, the normal progression of samatha meditation. When you ask about the point of, in effect, cultivating pleasure in order to transcend it, this is exactly what one does in jh&amacr;na. One sits down to meditate, usually experiencing the hindrances. One works with the mind and quiets it, and as a result pleasure and joy “born of seclusion” arise (seclusion here meaning “seclusion from craving”). With continued practice, thinking ceases and pleasure and joy “born of concentration” (i.e. concentration on music, or the breath, or whatever) arises. Eventually both pleasure and joy vanish. The point of cultivating them is to transcend them. The way to the peace of fourth jhana lies through pleasure and joy. Thanks for this article. I’d been thinking about the distinction between meditating and listening to the music I love … this really helped clarify it. Hey, while this doesn’t directly relate to the article, its a question regarding meditation that I’ve wanted an answer to for a while. I have just recently started to meditate, with my goal being to gain the ability to focus better, clear my mind, and get rid of brain fog. I’ve tried looking up which meditation technique is best to attain these goals, but all I find is “meditate”. Currently I just spend twenty minutes a day practicing the “rising and falling” exercise (shortly described here: https://www.vipassanadhura.com/howto.htm#e ) I’m wondering if I should continue to practice this exercise, or if using a different technique would be in my best interest. I’m afraid I don’t have time to read and assess those rather extensive instructions. I did take a glance at it, and what I saw looked fine, although I didn’t look very deeply. I suppose I wonder why you’re asking. Are you unhappy with the technique you’ve learned? I’m not displeased with the technique, but being a beginner(started a week ago today) I wanted to get a more experienced person’s opinion on what I should do. If you think its fine then I’ll stick with it, I do feel like I’m making progress ever so slightly, but I’ve read that it takes a lot of patience and perseverance to attain a higher level of enlightenment, so I would like to know if there was a more efficient way before I dedicate myself to something new. But you’ve answered that question, so there isn’t anything more for me to worry about. Thanks for your time! Ah, yes. Just stick with the practice. We need to let go of any sense of being in a hurry. The desire for results makes it harder for us to relax into the present moment and become more fully mindful. Thanks for your article! I quickly skimmed it and found my answer. I studied music therapy in college and for a long time I would have to listen to music to fall a sleep (a lot of Brian Eno and Harold Budd albums). But lately I began studying Taoism and Taoist meditation, and I’m noticing how my attention needs to be elsewhere, not focused on the music. Though there are times when listening to music for meditation has my complete attention, and I feel in another world in the music itself (which is great for submergence and study) I find that equally important is “proper” meditation environments and techniques like you talk about here. Trying to find my balance ^_^ thank you! To me this seems to apply to audio books too. I would not think of listening to one during my meditations but I am starting to wonder if I should ditch them altogether because it encourages multi-tasking, such as listening while doing yoga, housework, or when I cross stitch instead of having mindfulness in what I’m actually doing. Your thoughts? It sounds like you know what you want to do. Why not try just listening to the audiobook when you’re listening to the audiobook, and just cross-stitching when you’re cross-stitching, and see how it goes? I was browsing the internet and I came across this site. My question is not playing music while meditating but does playing music in thought helpful? I don’t know what “playing music in thought” means. Can you explain? What I mean is thinking of a song or playing a tune inside of your head. While meditating I find this happening and I wanted to know whether it is helpful or against meditation progress? Having music running through our mind while we’re meditating is definitely not something I’d encourage. Quite the opposite, in fact. Having a tune running around in your thoughts runs counter to the stillness we’re trying to develop. I found this post after pondering the question myself. I recently found myself distracted by a meditation recording with New-Agey music and the sound of ocean waves mixed in. My thoughts went to the audio engineer’s effort to create a soundtrack he thought meditators wanted to hear. When I meditate outside and I hear wind, birds, nearby water or even traffic, these are ambient sounds from the present, not sounds from the past created deliberately for me. If the objective if meditation is to be present, then ambient sounds from the nearby environment can help connect you to the present better that sound created by somone far away thet’s trying to make you feel a certain way. I was going to ask your opinion on brainwave entrainment using binaural beats. I find it was solely responsible for my acheiving meditative states some time ago when I began meditating. I used to simply run a set of standard tones in the “alpha” or “theta” range and, as advertised, it was extremely effective. I also found that when I took off the “training wheels” I was able to use the clasic breathing or ambience techniques that were nearly impossible prior. NOW, what I find EXTREMELY effective is to run a bb for about 15 mi utes, at relatively high volume, (using that time to contemplate perhaps) and then killing the sound abruptly (automatically via timer or something so you don’t have to interrupt). What it leaves you with is a tremendous silence…..which I couldnt find otherwise. I don’t have an opinion, simply because I don’t know anything about them! There’s plenty of guidance on this site. The two meditations I encourage everyone to do are mindfulness of breathing and lovingkindness meditation. These links will take you to structured guides that will lead you, step-by-step, through the two practices. I have Attention deficit hyperactive disorder (ADHD adult variety) which kind of affected my performance in school and still does a bit at work now. I also have Obsessive Compulsive Disorder (OCD) which is not very severe. I did not want to use medications. So I decided to use meditation and behavioral techniques to improve myself. After researching about meditation I have come across a huge and sometimes varying and conflicting information about what it actually means, how to do it and what to expect. So, I devised my own technique. Your opinions on this technique would be greatly appreciated. Phase 1: I start off with music titled ‘Awakening’ for 10 mins. (music stops on its own). I got this one on Amazon music. Its a combination of flute and a string instrument. This is supposedly the music played by Lord Krishna to his beloved Radha. I am not religious at all, more agnostic. So, the religious connection to the music has no affect on me. I choose this music because it is relaxing and sounds very neutral emotionally as compared to the inherent aggression of rap music and heavy metal or the sensuality of pop music. During the 10 mins, I pay ‘attention’ to the music. You could say I actively listen to every note in the music. Raising and falling with it. You may call it pleasure. But for me it is not pleasurable. Its just neutral. Its more like a flower or leaf swaying in the direction of the wind. If I get distracted, I bring my attention back to the music. I use the phase 1 as a prep for my phase 2 where I use internal sounds/mantras. Phase 2: This lasts about 5 to 10 mins. I try not to time it. Here, I use the sound ‘Om Namashivaya’ internally, while I try to keep my mind still. You could say I kinda sync the sound/mantra with my breathing. If I get distracting thoughts, which happens much less in this phase as compared to phase 1, I bring my focus back to the sound/mantra. I personally do not believe in any special ‘powers’ of the mantras. I just think the vocalization of the sound helps me pay attention more easily. Similar to how reading a book aloud keeps me from getting distracted versus trying to read it passively would make me lose track as to what line I was reading, forcing me to backtrack several times. Trust me, it takes me forever to finish a book because of my attention problems. Phase 3: In this phase. I just sit still trying to focus on my mind, simply observing the thoughts/distractions. I seem to get much more thoughts/distractions in this phase compared to the other two phases. If any of the thoughts lead me into a ‘thinking further/reasoning/analyzing’ process, I immediately stop that process and try to make my mind still and go back to the observing mode again. I do all the three phases in a sequence with no gaps. The logic of my technique is to use the first two phases, to easily slip into the 3rd phase. I noticed that if I try to do phase 3 directly I find that I am more distracted. Almost cannot keep my mind still at all. My ultimate goal is to be able to achieve a state where I have as minimal distractions as possible in phase 3 which I ‘think’ is ‘real’ meditation. Do you agree with me? Is it ok to do something like this? Do you believe that the techniques I use in each of the phases above, is a meditation in itself? Do you think these 3 phases are in the right order to progressively get me into deeper states of meditation? I choose to post on this thread mainly because I am curious about using music during meditation and the information above caught my attention. Sorry for this really lengthy post. Your feedback would be greatly appreciated. Wow very insightful! I have only very recently become interested in the ideas of meditation and buddhism/spirituality in general. This is something that will help me make the right choices in my journey towards self enlightenment! Thanks! Thank you fou the insightful article about meditation and music. I live next to a golf course with many trees and with the constant loud noises from the array of birds and bats, its extremely rare to enjoy a moment of quiet. I will give some natural sounds a try. i read your article its really fantastic.but i m doing candle gazing meditation.so please honestly tell me that can i listeninh meditation music during candle gazing meditation. I wouldn’t recommend listening to music during any meditation, Adil. I believe your comments on music and meditation would also apply to the practice of yoga. One of the eight limbs of yoga is “pratyahara” or withdrawal from the senses, which is practiced before “dhyana” or meditation. Thank you for all the wise and patient replies you have made over the years on this thread! Thanks for the reminder of the importance of withdrawing from sensory pleasure in meditation, Kieran. That’s stressed in Buddhist meditation as well. The classic instructions for experiencing jhana (dhyana) in Buddhism start: “Bhikkhu vivicceva k&amacr;mehi vivicca akusalehi dhammehi…” or “A bhikkhu, detached from sensuality, detached from unwholesome states…” To look within for pleasure and joy we have to begin letting go of our reliance on external sources of those things. I find any sort of meditation music to be little distraction while meditating. I find it very relaxing and enjoying focusing on my breath. Would you suggest me to start finding the right meditation music or continue with focusing of my breath. I’d recommend that you keep doing what you’ve been doing, Mustafa! This was a well written response to the issue of music or not during meditation. I have a number of “meditation” cds that are really great. I don’t use them when I am seriously sitting, but I like the cds so much that I have been tempted to do so. I always wondered if it was a good idea – sort of thought it was not along the reasoning you provide – and this has now resolved the issue for mt. Thank you. I just went to a UNITY church this morning, my second visit there. They have a really nice meditation room that I spent about half hour in after the service. I did not like the music being played in the meditation room. And there’s a sign on the door as you enter telling people not to do anything with the music, perhaps others turned it off in the past? Guess I’ll have to bring ear plugs. So few quiet places in the world, why do meditation places have to have music? Personally, my experience with meditation accompanied by relaxing or “nature music” has been quite helpful. My guess is, it works for some and maybe not so well for others. When I meditate with music, it helps me focus on my visualizations and block annoying thoughts that hinder me. My goal is merely to reach a peaceful state of mind and bliss as well. I personally believe that if things are chaotic externally, there must be something going on within ourselves as well. Meditation helps me with this factor and it helps me out in life, basically. I love hearing other people’s accounts on mediatation and I just wanted to share this part of my experience. Happy day to you all! Can I listen anything (e.g. soothing music, mantra, chanting, bhajan, kirtan etc.) with headphone while doing meditation? I don’t recommend it. Pay attention to your direct experience of the body, your feelings, and your mind, without trying to add anything to the situation. However if you’re listening to music, then treat that as a meditation too.